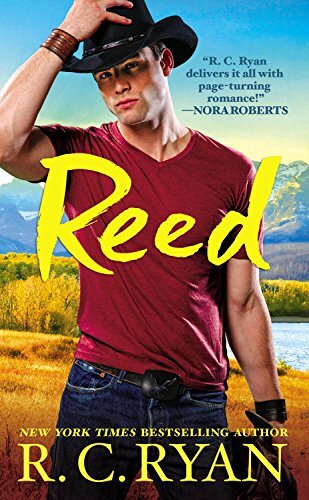 Reed Malloy, the youngest brother of the Malloys from Montana, is a work obsessed cattle rancher. He’s had his share of women, but nothing permanent. Reed’s been much too busy working the ranch and tending to their first ever organically raised cattle. Ally Shaw quit her big government job in Virginia, sold everything she owned and traded it for a more peaceful existence in Glacier Ridge, Montana. Now she’s focused on getting her business up and running and spending quality time with her four-year-old son Kyle, who by the way is an adorable character. Kyle comes complete with funny quips and great manners. I’d keep him. Reed is the kind of man any woman would be happy to have in her life, he loves his family, he’s sensitive, smart, intuitive, romantic. Yes, he is the complete package. But Ally’s not just any woman. She’s strong, smart and she’s been burned in love once and is in no hurry to give away her heart again. When reading a romance, I am guaranteed a happy ending, but I do not expect a smooth journey. And this romance novel has several pitfalls and one rather large mine field that I found surprising and exciting. it wouldn’t be fair of me to reveal much more. Suffice it to say, this author knows how to keep the pages turning with a little mystery here, a red herring there, and lots of romance. The writing captures a tenderness and warmth that flows off the pages and extends beyond the hero and heroine to an array of secondary characters that make you want to be invited to the Malloys ranch for Thanksgiving dinner. Each character comes vividly alive - the parents, grandparents, brothers, sisters, children and friends - drawing you closer to Reed and Ally through dialogue and action. This is the third book in the Malloys of Montana series. It’s a tender and warmhearted romance that will keep you smiling long after the last page. What is your favorite type of hero? Sweet and tender, bad boy, rough and tumble, geek? Or is there another type that makes you sigh? Sweet and Tender, Bad Boy and Billionaire. Slap myself upside my head - I forgot all about Billionaire. I love those stories. Oh, I should check this one out. I like my romances with rich context and ample conflict. I'm a beta lover first and foremost, but I have book boyfriends in all categories. That is one of the glories of being a romance reader. Janga - you made me laugh - "I have book boyfriends in all categories." Love it! I like bad boy and sweet and tender. I do expect my HEA and I do believe that you have to work for it. I will have to add this to my list.